My husband and I are visiting Porto, Portugal’s second largest city after Lisbon, to catch up with friends. And as friends are wont to do, especially those originally from India, they take us on a whirlwind tour of their favourite restaurants and foods. 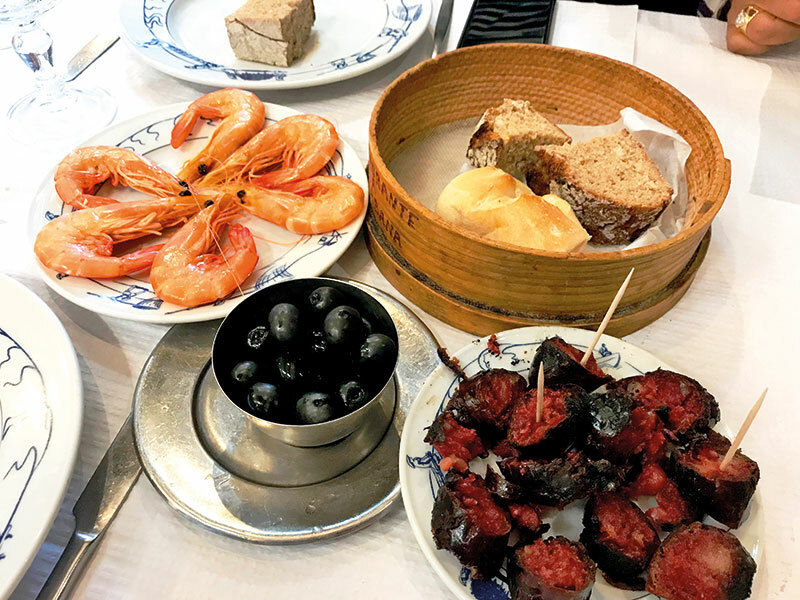 Porto has so much to offer the unsuspecting food lover, including some very special dishes quintessentially its own. And so begin three days in this atmospheric city, with its bustling Ribeira (the old town) that climbs from the waterfront into the surrounding hills, in narrow cobbled lanes; innumerable squares; port cellars and the River Douro meandering peaceably through it all. Fortuitously, it is almost lunchtime when we exit the airport. And so, baggage in boot, we drive 15 minutes southwards, to suburban Guetim, Espinho, where the Restaurante A Grelha, a churrascaria or Portuguese barbecue place, is located. The family-run restaurant attracts food lovers with its delectable selection of sea food. Some of Portugal’s renowned footballers are regulars here and their autographed T-shirts line the walls. The local corn bread is delicious as are the rissois de camarão, prawns wrapped in light pastry. The mains arrive soon — the espetada de marisco proves to be a wondrous platter of perfectly cooked, succulent skewered prawns and squid, grilled on an open fire. I gasp when an even larger platter of bacalhau na brasa, salted cod grilled on charcoal, arrives. 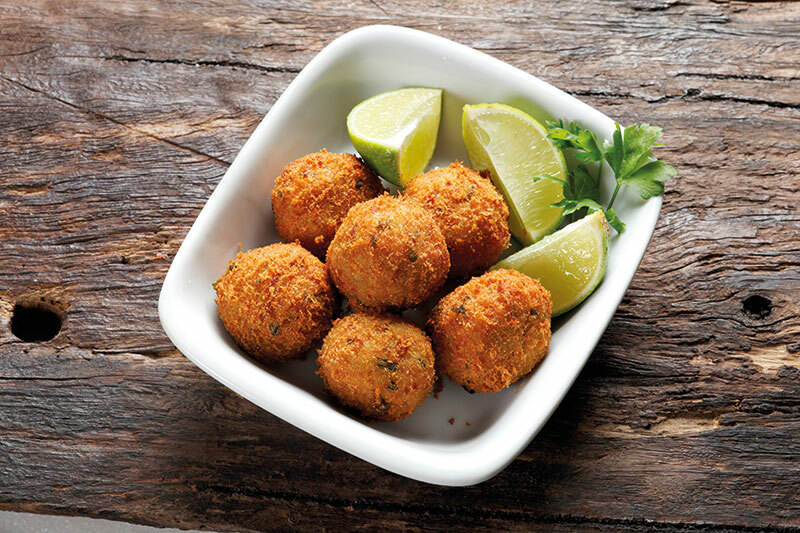 Bacalhau has been a local favourite, no, obsession, since the time of the Vikings, who traded the protein-that-did-not-spoil for salt. We later see the dried fish in mounds piled high in supermarkets. Bacalhau is cooked on festive days as also for Christmas. It even has its own nickname, which, I am told, translates to ‘faithful friend’. 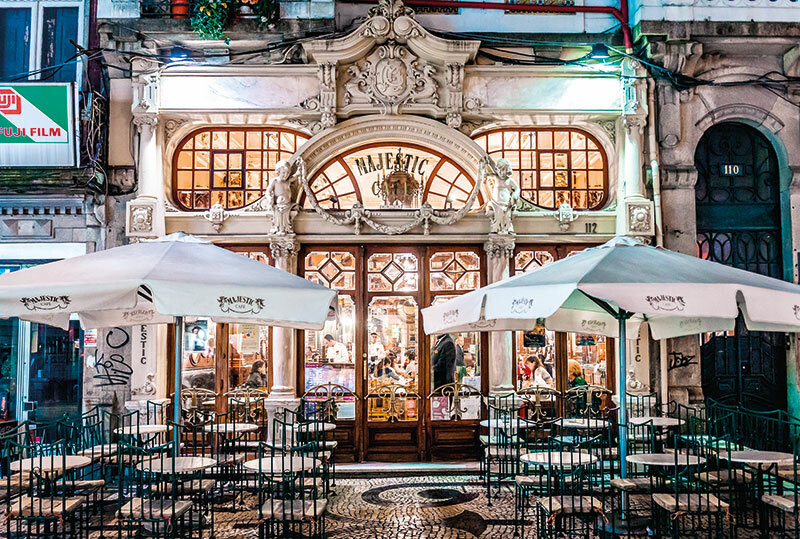 In Porto, everyone seems to drink coffee and watch the world go by in the city’s innumerable confeitarias — coffee houses that dot the old town, the squares and the main thoroughfares. Coffee drinking seems to be a national pastime and people here take their cuppa very seriously. There is a variety of coffee styles to choose from. We drink coffee at tiny cafes at all hours, even between meals; and very soon, I find myself confidently ordering um pingo (pingo means drop in Portuguese and refers to the drop of milk added) without thought. The avid tea drinker in me has been transformed. The coffee comes in a small transparent glass — in the style of Mumbai’s Irani restaurants — and the strong cappuccino blend is tempered with just a splash of milk. Situated along the dramatic Costa Verde coastline, Porto boasts beaches all around, and a short drive outside the city centre takes eager inhabitants to some amazing eateries. We follow the A28 Highway and exit at Apulia, driving down all the way to the beach. An atmospheric beachside restaurant, A Cabana is known for its arroz de marisco or seafood rice, a traditional delicacy. The eatery is decorated with nautical embellishments, Portuguese shawls and banners. A wood fire emanates heat. We start with some perfectly charred chourico, a local sausage with bite and spice. We ignore the sauce that is so fiery that the server offers it to us individually on the point of a toothpick. Succulent polvo a lagareiro or grilled octopus comes up next, and it is doused in olive oil and garlic. We anticipate the main event with excitement. The arroz de marisco is served hot in the pot, fat globules of rice soaked in seafood gravy laden with garlic, peri-peri and parsley and loaded with shrimp, crab, clams and mussels. The familiarity of a rice-based meal and the generous helping drive me into a state of contented stupor. This is a gourmand’s heaven. 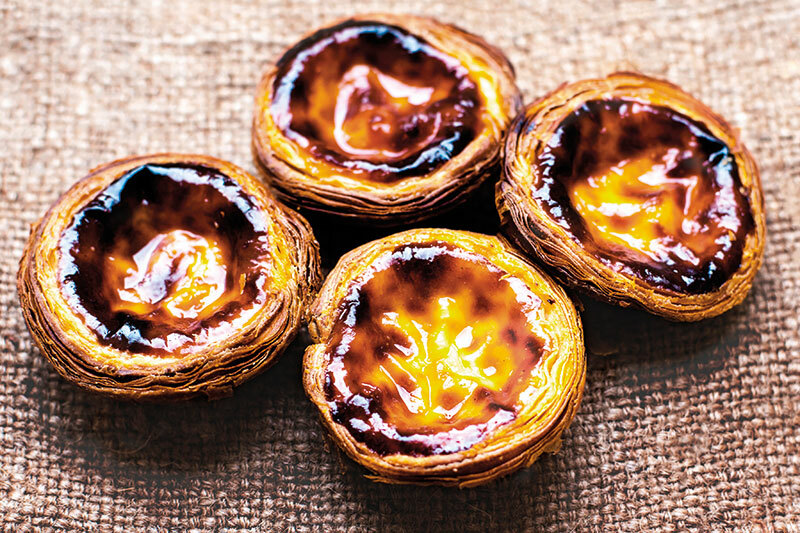 A visit to Porto is worth nothing, however, without a taste of the ubiquitous pasteis de nata or Portuguese custard tart. Everyone has their favourite place to indulge in this treat and our friends are no different. We wind our way down the Rua Santa Catarina, the steep pedestrian street, with its beautiful church on the corner covered in azulejo or traditional Portuguese tiles and lined with shops and boutiques. Passing by the long queue outside the award-winning Majestic Café, we peep in to view its art nouveau-inspired decor and elaborate metalwork. 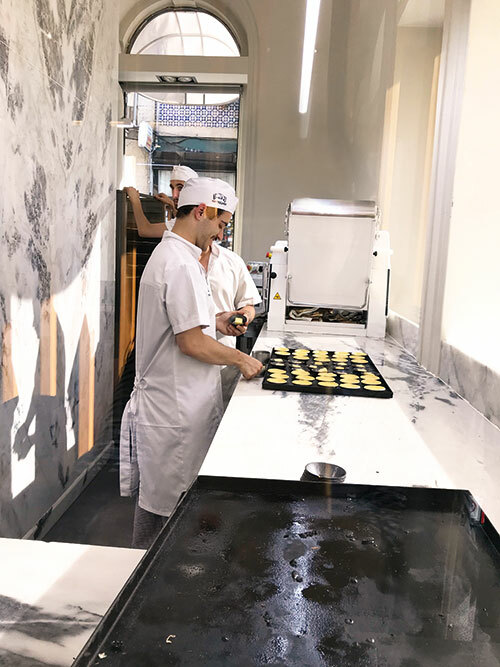 We reach Manteigaria, the large, airy cafe that serves ‘the best custard tarts in Porto’. Grabbing a table, we intently view the making of the tarts in the open-plan kitchen. On the counter, packed boxes are lined up with orders awaiting pickup. I wait with my pingo for a fresh, hot batch to make its aromatic appearance. The delicacy, apparently created by skilled nuns in the 15th century, does not disappoint. The crunch of pastry, the tenderness of custard, the soft dusting of cinnamon powder, the feeling of being pampered and treated — all these emotions arise even as I bite into one. In the late afternoon, we drive across the arching ironwork of the Dom Luis I Bridge, built by Theophile Seyrig, the business partner of the famous Gustave Eiffel, to where the major producers of port have their warehouses in Vila Nova de Gaia on the south side of the River Douro. Porto is known for its port, which is stored and matured traditionally in vast cellars along the Douro. In the early days, the barrels were transported on the river in rabelo boats, but today this is done by road. Following a walk along the bustling waterfront while admiring the view of the Ribeira on the other side of the river, we enter the cellar of Ramos Pinto, where the entrance is hung with vines. A young girl brings us 10-, 20- and 30-year-old port, pre-poured in glasses, and the tasting begins with the youngest and moves on to the oldest vintages. The latter, of course, are the smoothest and go down beautifully, tempting us to leave with a bottle under our arm, to carry back home. A few gates down from Ramos Pinto is located the Mercado Beira Rio, an indoor market and food hall. Here, we discover so many specialities of the area under one roof — hams, sausages, entire suckling pigs, local cheeses, olives, bottles of olive oil, local beers and wines…. 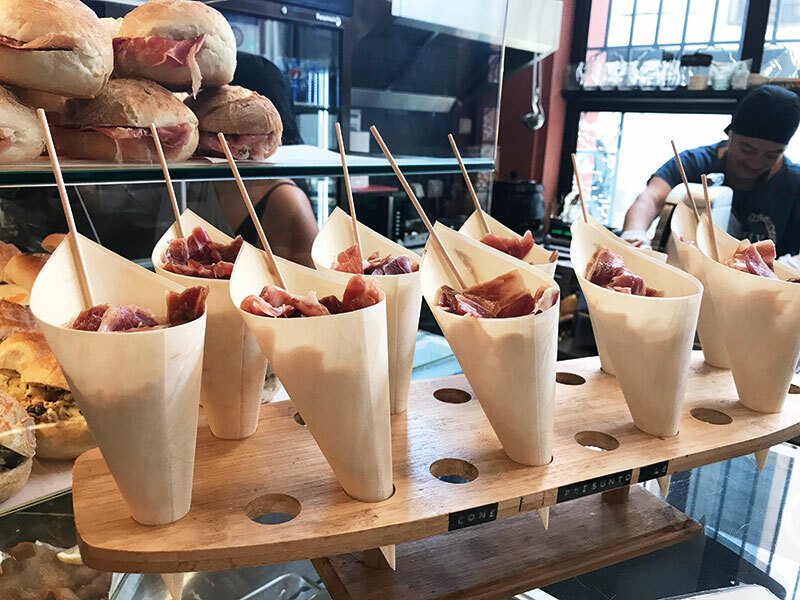 Today, it is packed with diners partaking of local delicacies, including sandwiches laden with the very special Iberian ham (the porco preto or black pig is an Iberian species found in the central and southern regions of Portugal) and bacalhau fritters, amongst others. That night, we taste Porto’s big sandwich, the francesinha, an icon of the city’s cuisine since the 1960s. The name can be translated as ‘little French woman’. The story goes that Portuguese emigrants to France discovered the classic French croque monsieur and decided to make it bigger and better. Like the custard tarts, everyone has their own preferred place for this ample snack. We are now seated at Brasao Cervejaria, a well-loved local restaurant that my host family has decided has the best offering. The rustic decor and crowded tables bode well for the evening meal. I watch a man on the next table peel through the eatery’s Instagram-worthy starter, an onion opened like a flower, fried in batter and served with black garlic mayonnaise. The warm bread is served with butter flavoured with Iberian ham that my husband enjoys immensely and we guzzle bottles of the local Super Bock beer and some crisp vinho verde, or green wine, which comes from north-west Portugal. 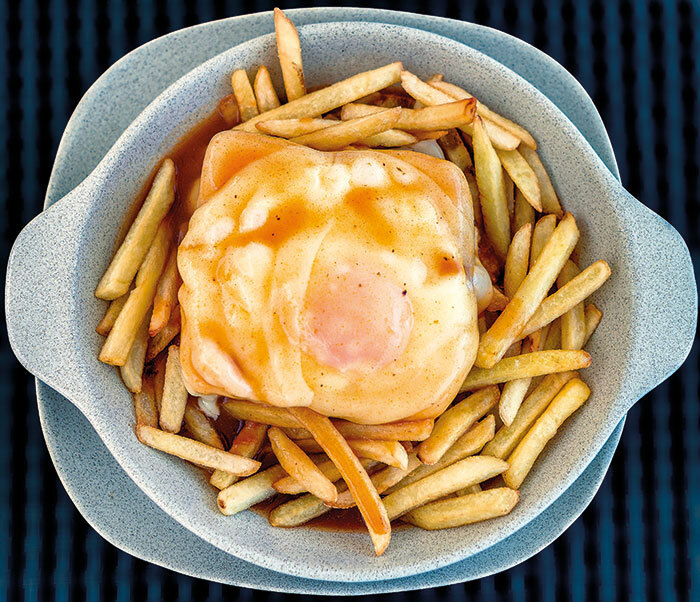 The francesinha arrives, a feast in itself. Luckily I have declined the optional fried egg on top. Two thick slices of bread sandwich portions of local sausage, ham and steak — the entire covered in melting cheese and doused in beer-tomato gravy. No establishment worth its salt, we are told, will divulge their gravy recipe and this is what distinguishes one sandwich from the other. Time now to experience the city’s fabled night life. We walk through tapering streets and burst upon a crowd, chattering happily on the sidewalk, beer glasses in hand. This is outside the incredibly cool bar, Candelabro, on Rua da Picaria, in downtown Baixa. We thrust into the small, crowded interior, loud with music, for another round of Super Bock. Then, our hosts’ sons lead us through winding paths to streets lined with hip bars, late-night restaurants and trendy clubs on both sides. The main street, Galerias de Paris, is where the revellers gather to party the nights away. The bars and eateries, we learn, shut only with the rising sun. Here too is the hotdog place made famous by Anthony Bourdain, called Gazela. Judging from their love of food, we are not surprised that the people of Porto have been nicknamed Tripeiros (translating as tripe eaters). While stewed gizzards or Porto tripe is a delicacy, we do not get to taste it. The origins, however, are interesting. The story goes that when Portugal’s Henry the Navigator was preparing for one of his expeditions, he asked for help to gather food supplies from the people of Porto, which they did with such generosity that they were left with only the entrails and organs of animals. And so was born tripas a moda do Porto. 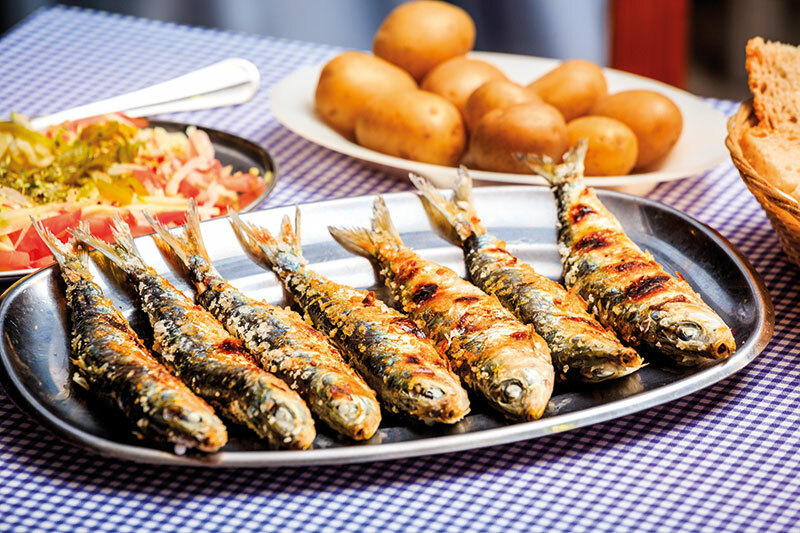 The following day, we dine on barbecued sardines paired with leafy salads and large shiny potatoes cooked in their skins with olive oil and garlic in one of the glass-encased pavement cabins or esplanadas in the Matosinhos area near the old port. We watch a ship move past as we sip on wine. A local band parades past, disappearing around a corner of the street. Replete with good food, content in the company of old friends, we realise that this is what happiness is made of — friends, food and a glass of green wine.